Today has been one of those days when the time flies, and as soon you have the time to look at your watch is already mid-afternoon. In the midst of a sugar dip I then decided to treat myself, and cooked some delicious gluten-free pancakes raspberries. They were light, yummy and kind of healthy too! Best the egg in a bowl and add as much millet flour as needed. When the eggs have absorbed all the flour and there are no lumps, add a dash of soda bicarbonate and a little of almond milk ( you an also use normal milk) until you get the right consistency. In a little non-stick pan ( 18-20cm) melt a bit of coconut oil and when the pan is hot pour enough liquid for a pancake. Make sure you turn the pancakes carefully. 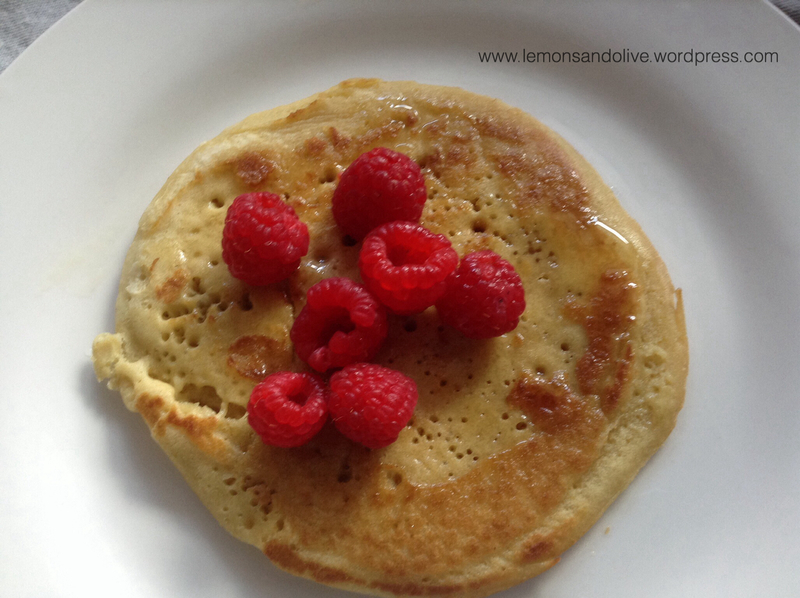 Place the pancake in a plate and spread a thin layer of honey, add the raspberries and eat! For more gluten-free delicious recipes click here.